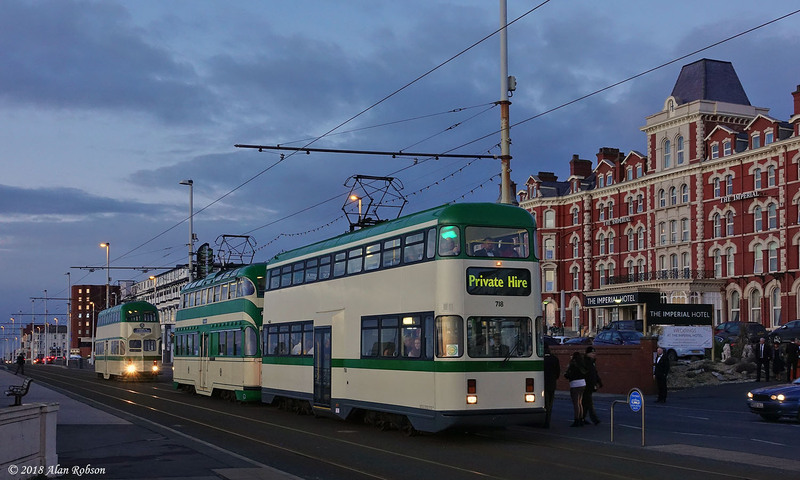 Three of the heritage tram fleet took part in a private hire on the evening of 27th February. 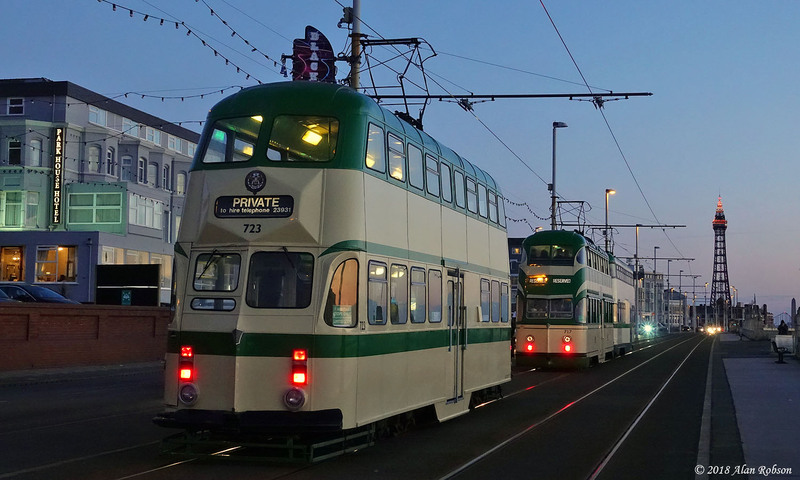 Balloons 717, 718 & 723 picked up a large party of guests from the Imperial Hotel shortly before 18:00, just after sunset. 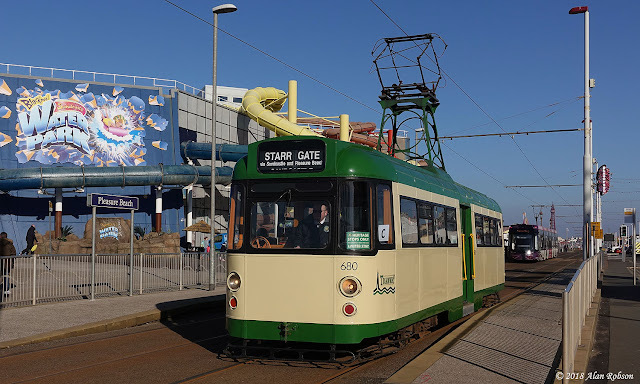 The plan was for the three trams to run south down to Starr Gate, then return their passengers back to the Imperial Hotel. 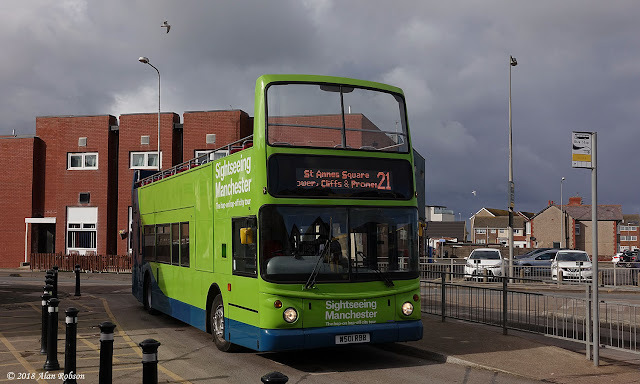 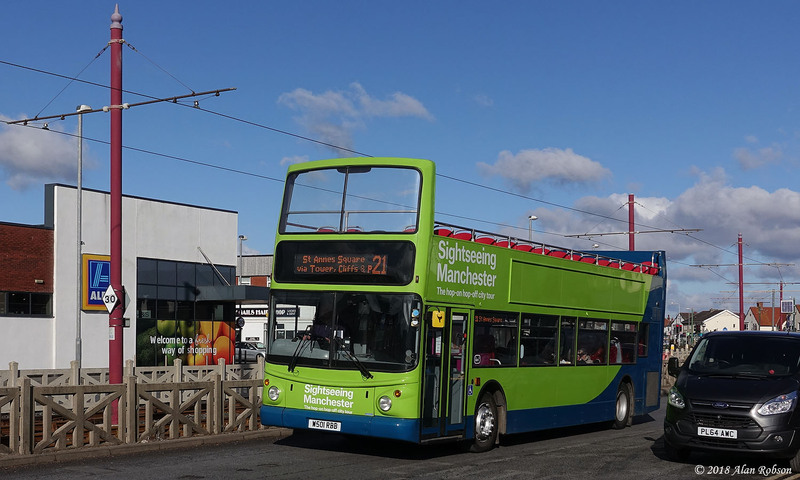 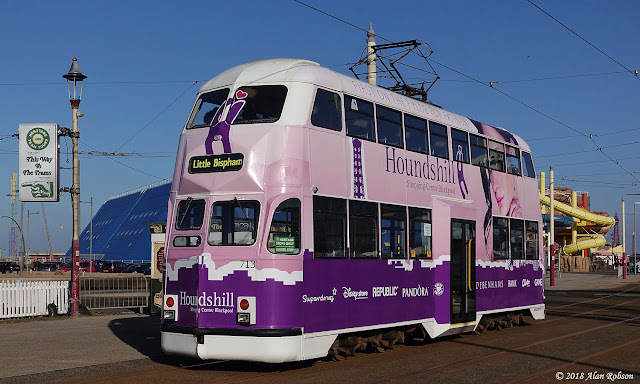 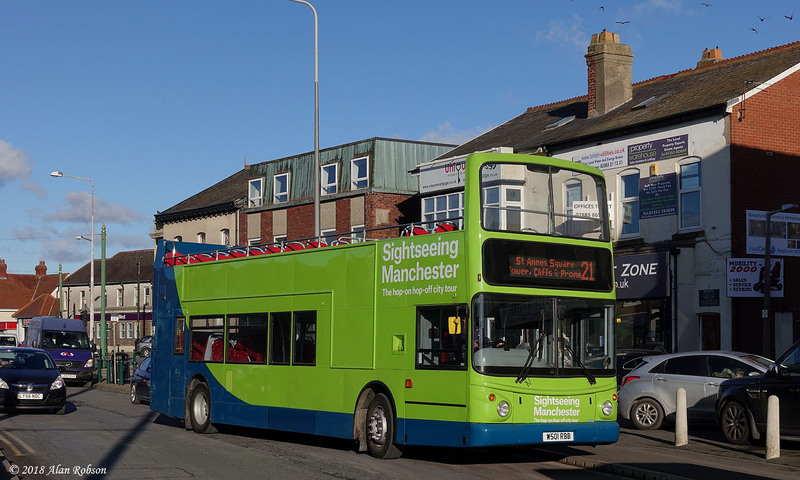 Due to a temporary vehicle shortage on the Coastliner 21, one of the Sightseeing Manchester open top Tridents was noted in service on the Fylde Coast on Tuesday 27th February. 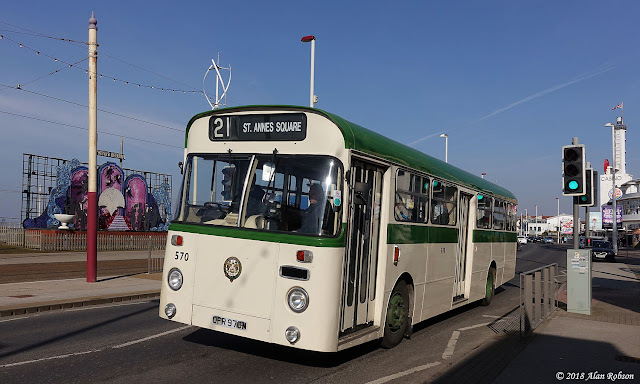 W501 RBB, an Alexander ALX400 bodied Dennis Trident, was rather a long way from its usual stamping ground in Manchester, but was a pleasant diversion from the usual run of the mill buses to be seen running along the Promenade. 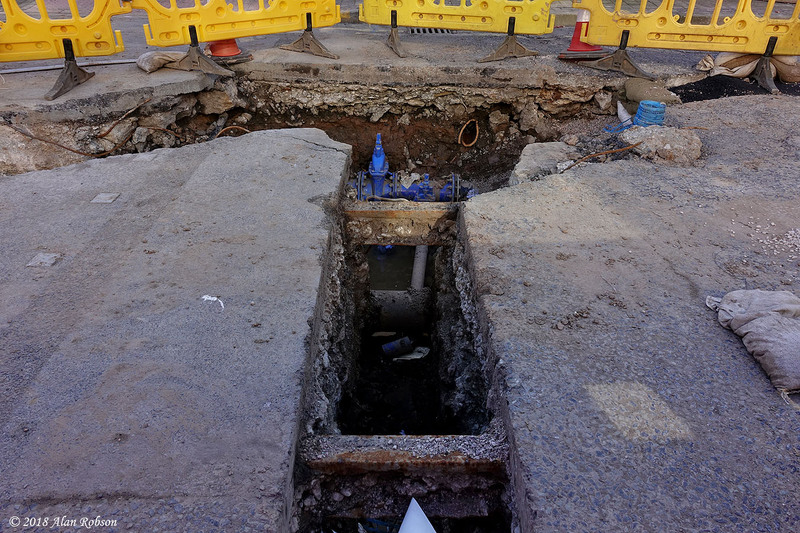 The realignment of essential gas, water and electric pipes along Talbot Road, to make way for the new tram extension to North Station occasionally unearth some of the old tram track. Utility work excavations have have recently revealed a short section of the former Layton route track close to the junction with Abingdon Street. The February Winter Gold weekend began on Saturday 24th February, with clear blue skies being the order of the day. 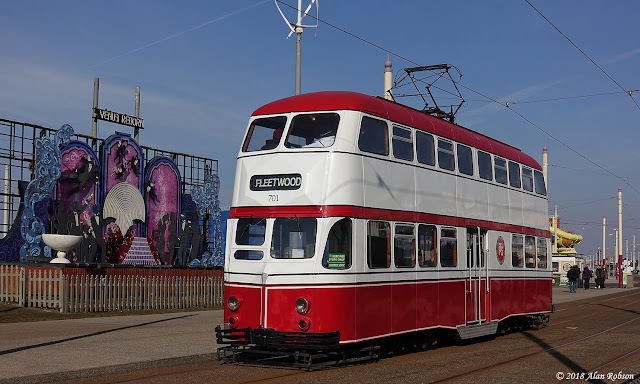 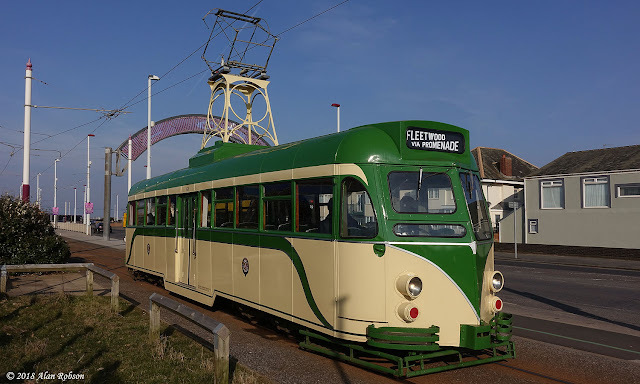 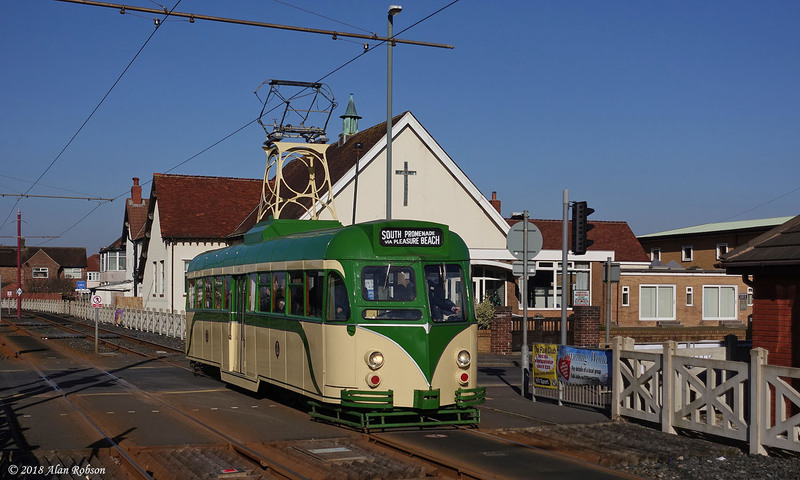 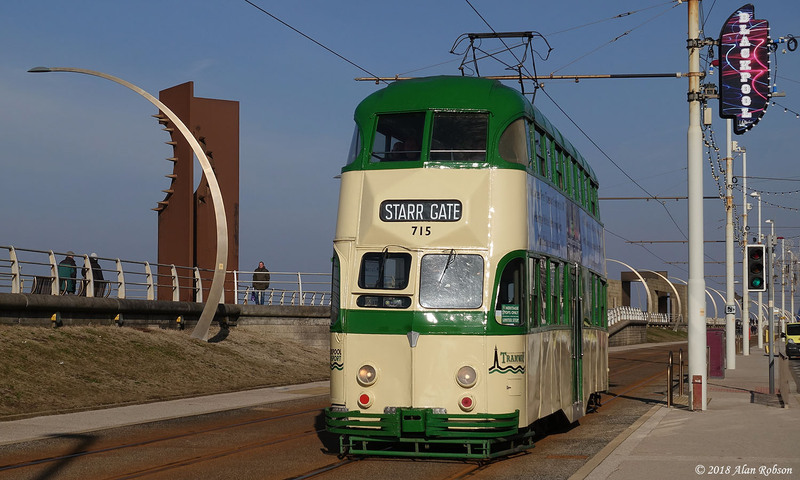 The timetabled service operated between Starr Gate and Fleetwood Ferry, with trams 623, 715, 631, 621, 701 and 717 in use throughout the day, with Balloon 700 serving as the heritage shop stationed on the loop near North Pier. 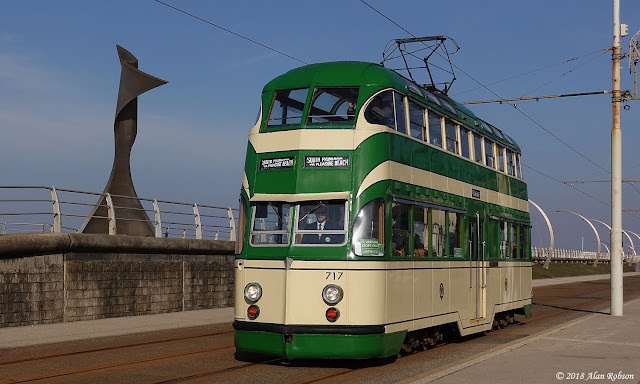 Sunday saw more of the same fine sunny weather, with trams 701, 713, 680, 630, 723 & 718 running the tours. 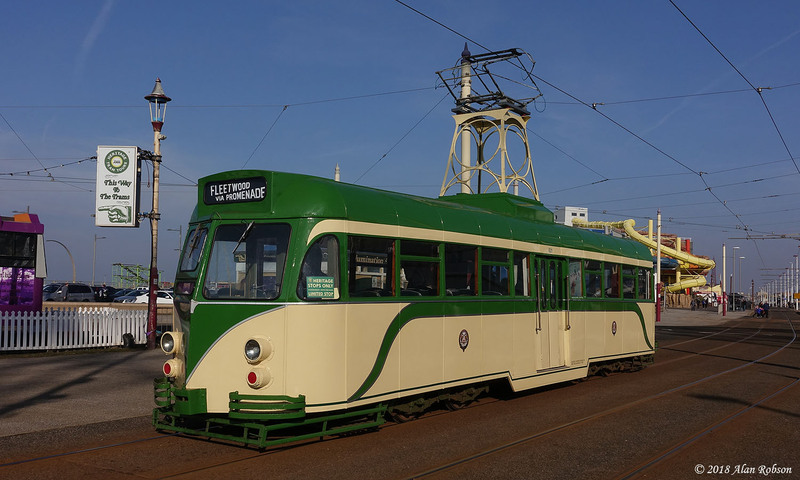 Around midday Railcoach 680 was taken out of heritage service and replace by Brush Car 621. 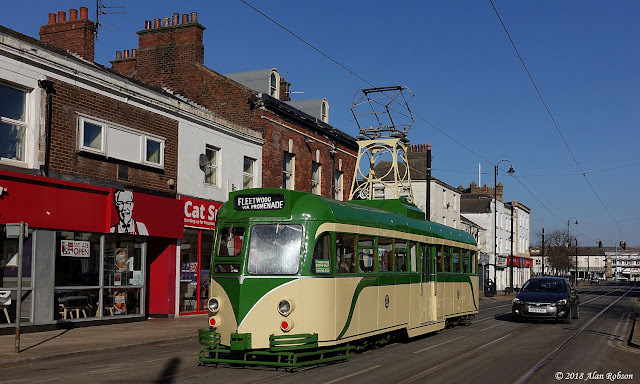 The Winter Gold weekend on 24th & 25th February saw heritage trams operating a regular timetabled service from Starr Gate to Fleetwood Ferry. 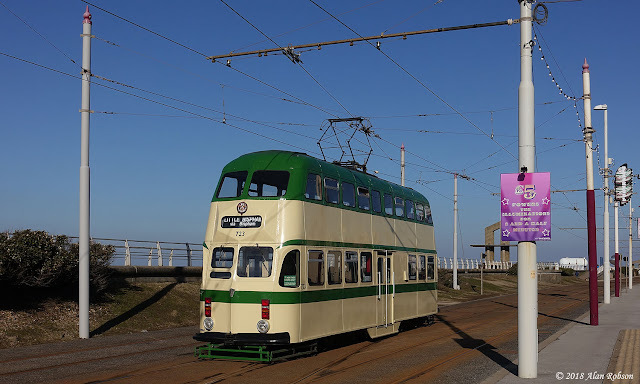 Saturday 24th saw Brush Car 621 in all day service, and as most of the day was blessed with unbroken sunshine, this gave many people their first chance to photograph 621 in all its glory for the first time. On the Sunday 621 was due to remain in Rigby Road depot, but around lunchtime Railcoach 680 was taken out of service and replaced by Brush 621 on the 'C' timetable, just in time for the tram to make its second run of the weekend to Fleetwood, again in full sunshine. This selection of photos combines shots taken over both days, showcasing 621 at both Starr Gate and Fleetwood plus several points in between. 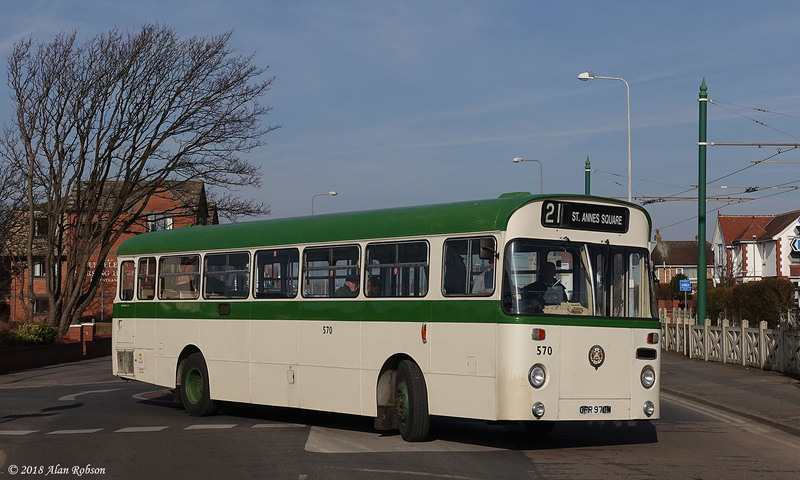 Former Blackpool Corporation Transport AEC Swift 570 was in service on Catch22bus's Coastliner 21 route on Saturday 24th February, operating between Cleveleys and St. Annes. This special event was to commemorate 30 years since the withdrawal of these buses from Blackpool Transport service in February 1988. 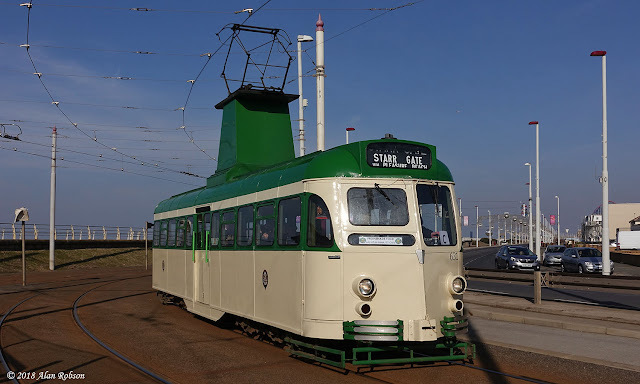 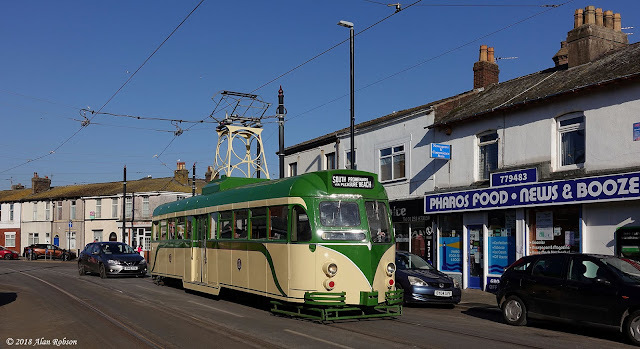 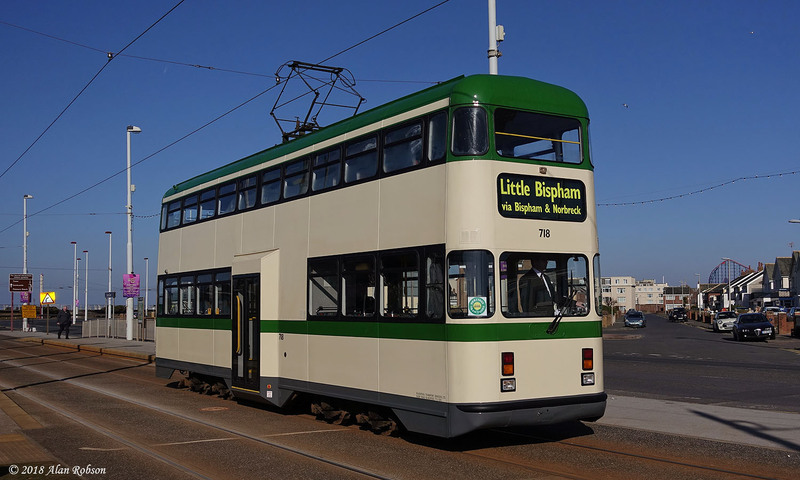 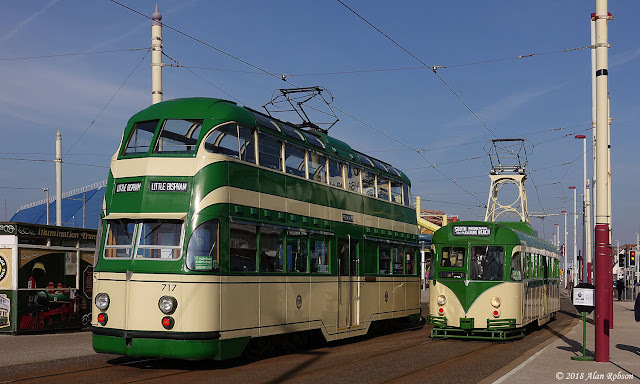 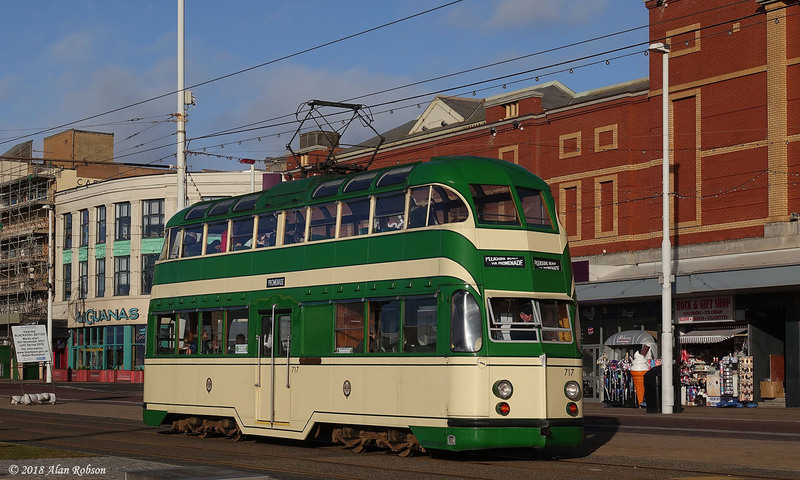 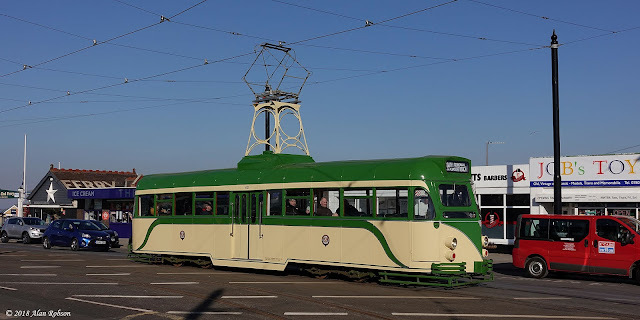 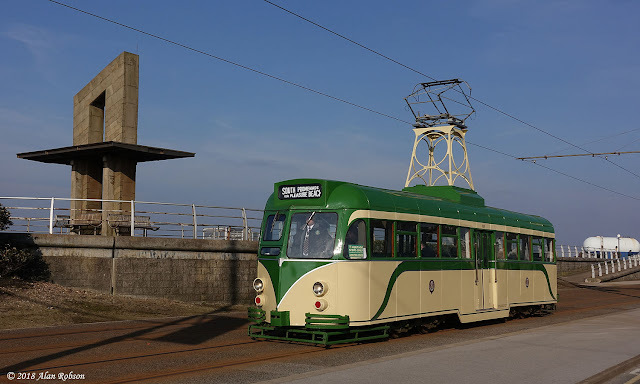 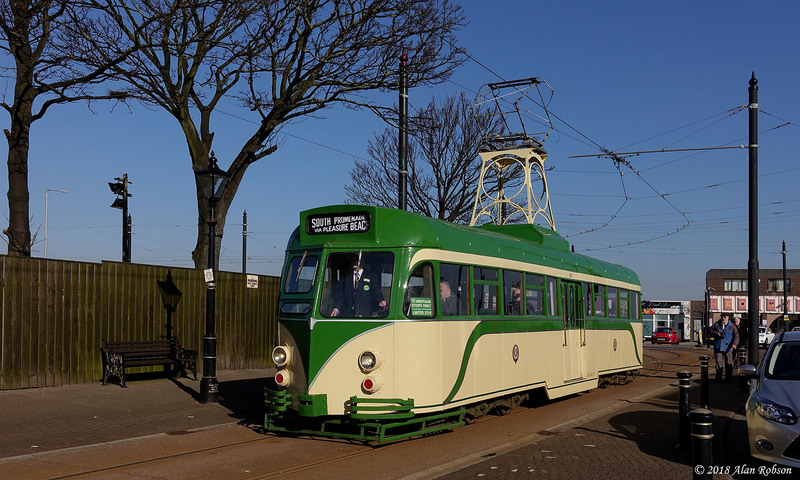 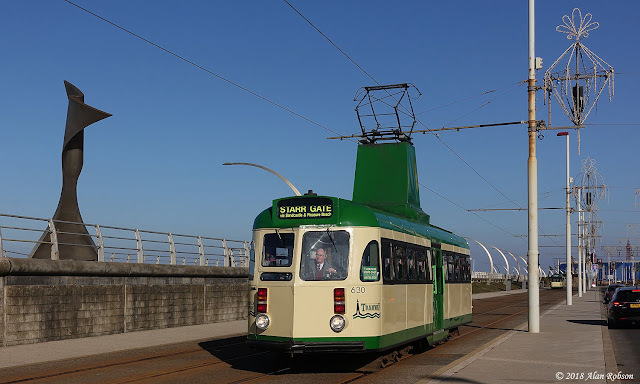 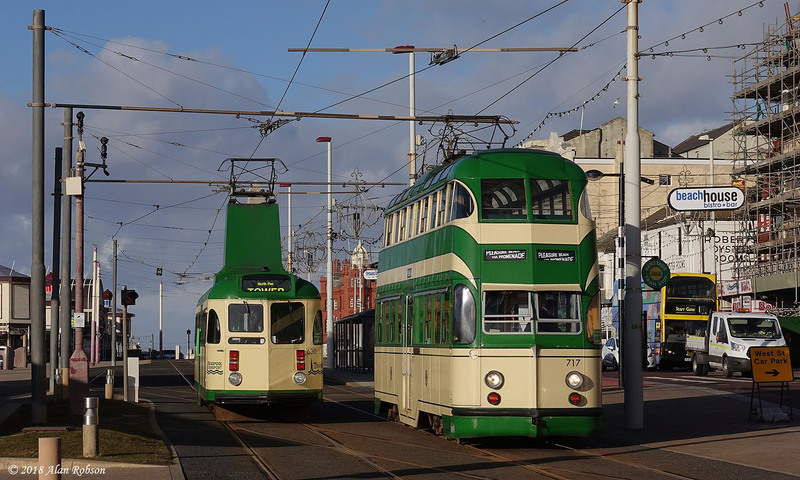 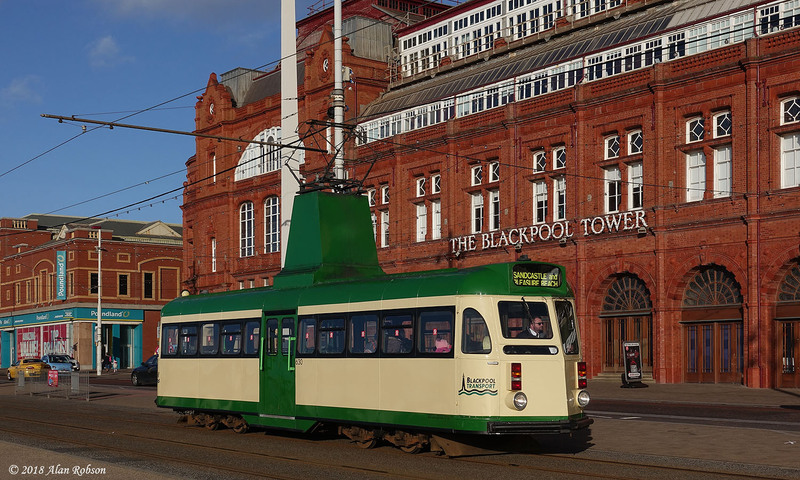 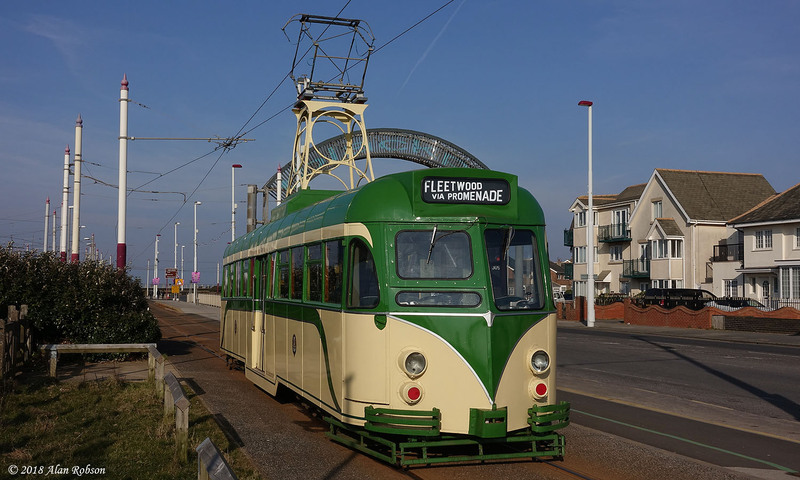 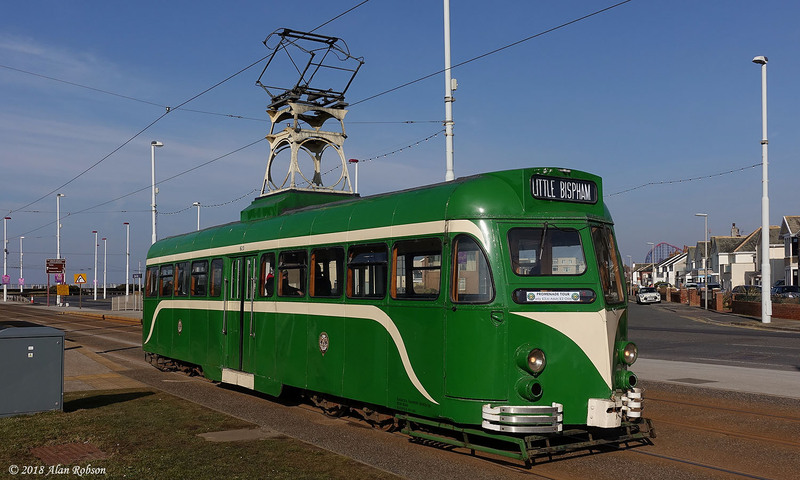 The 2018 February half term break in Blackpool saw the first outing of mid-week Heritage Tour trams this year. Balloon 717 and Brush Car 630 were the trams selected for Promenade Tour duty on Monday 12th February, and luckily the sun shone brightly for much of the day.